Spring motivates me to get things done. I think it’s the return of the sun. Whatever it is, I’m glad! These are six sources of inspiration for me now. To receive the fabulous, time-sensitive sanity savers that I share with friends, be sure to subscribe to the newsletter. Bucket lists inspire me to do the things that matter most. 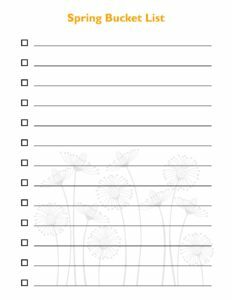 I love this bucket list that is part of The Organized Homeschool Life Planner, now shipping in print to the US. Grab your copy of the bucket list (no opt-in required) and start adding activities like planting flowers, visiting a botanical garden, a zoo trip, flying a kite, or nature walks. Spring cleaning is one of the challenges in The Organized Homeschool Life. If we take a perfectionist approach, we’re sunk. We’ll quit before we start. But we can do it with the Lazy Genius’s approach to cleaning the house. Give it a listen! It’s demoralizing to never finish your list. That’s why there is room for just three main priorities and three other tasks per day in The Organized Homeschool Life planner. Read Forbes’s to-do list tips to get your list under control. Most of my readers are homeschooling mothers. Some of them left careers behind to homeschool. But we don’t have to leave our skills and talents behind. This classic book will give you a fresh perspective on your calling at home. Emily Freeman’s book is a new look on this topic that can make work seem like play. And isn’t that what we all need this spring? 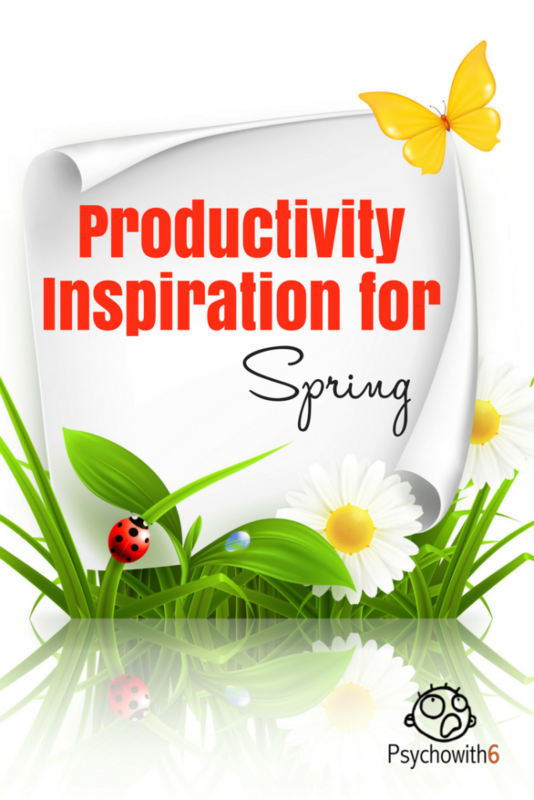 Want more productiviy inspiration? Check out the last list of sanity savers here. What’s on your spring bucket list? Comment and let me know.